By Peter Anderson 5 Comments - The content of this website often contains affiliate links and I may be compensated if you buy through those links (at no cost to you!). Learn more about how we make money. Last edited December 2, 2018 . I‘ve read a lot on the subject of giving, tithing and offerings over the years, and there seems to be no shortage of opinions on the topic. We've had posts exploring both the pro-tithing and free will giving sides of the debate here on this site. I believe both sides of the debate are well meaning and I can agree with certain points on both sides of the issue. But today I want to explore the tithe from a slightly different perspective. I want to explore why tithing, as well as free will giving, are both for our own good. Before looking at why giving is good for us, let's do a quick review of the two sides in the tithing debate. 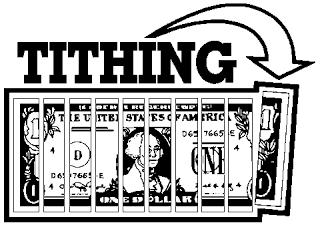 A tithe (from Old English teogoþa “tenth”) is a one-tenth part of something, paid as a (usually) voluntary contribution or as a tax or levy, usually to support a Christian religious organization. So the tithe is law, that should be practiced along with justice, mercy and faithfulness. The tithe of 10% is required, and anything above and beyond that is a free will offering. God is our creator and owns everything, we are only stewards of what he has given us. He has purchased us through his death on the cross and in order to be faithful stewards we must follow his word and give at a minimum 10%. Giving is a question of faith, of gratefulness to our creator for his saving grace, and of love toward Him. Not only that, however, it is how the church is able to function, with God's help. God blesses us in our obedience to the tithe, and uses our faithfulness to proclaim God's word. Our God has not changed. He still blesses and wants to bless. His promises were not just to the Jews in the Old Testament. They are to us. When we are faithful to underwrite the work of the church in the world, He reciprocates with “such blessings” that not only are our needs met, but we have enough left over to help others. The result in a vital testimony to the lost world that our God is real, and that He wants to be real to them. Some have avoided teaching the tithe because they believe it is part of the Old Testament law that was given to Moses to not only establish a religious system, but also to establish a nation's government. The tithe was in place to help establish the government and welfare systems at the time, and doesn't apply today for new covenant believers. one thing that constantly trips up modern-day Christians is that we fail to remember that the Law given to Moses did not merely outline a religious system… it was a constitution establishing a nation’s government. Thus, we need not only to discern which laws were sacrificial in nature (as Christians, we hold that Jesus Christ is our atonement and makes all other sacrifices—and thus all laws requiring sacrifices—moot), but also whether certain laws were governmental or sacramental in nature. While this may be a simple process with the laws of a “secular” nation, it can get difficult when you’re dealing with a theocracy. My studies keep drawing me to the same conclusion: God’s eternal Law of Love compels us to serve the poor, but the tithe laws were a form of taxation, and served as the welfare system for Ancient Israel. Thus, these laws only apply to those under the Old Covenant living in geographical Israel. When we see to put ourselves back under the Law, we are acting as if Christ died for nothing. We are essentially ignoring God’s grace and denying Jesus! When we look to tithing to become our rule and strict standard for giving, we ignore the freedom we have in Christ – not to stop giving, but to base our giving completely on love motivated by God’s love for us. So not living under the tithe doesn't mean not giving, to the contrary it means giving sacrificially out of love for Christ. Jesus life and example is a much greater motivation for our giving than tithing can ever be. In fact, I think one reason we don’t see as many generous Christians as we should expect is because we fail to point to God’s love enough when we discuss giving. Instead, we focus on rules and regulations (the Law). It should be profoundly clear why basing our giving on Jesus Christ’s teaching and sacrifice for us is the ultimate motivation for generous giving. Tithing did not suffer for us. Tithing did not die for us. Tithing can never give us eternal life. Tithing will never love us. Consider how powerful those statements are when contrasted with what Jesus did for us. Think about what it would look like to base your giving on Jesus instead of tithing. I believe both sides of the debate make great points, but I think for me Paul Williams makes a compelling argument when he talks about how the tithe is a sorry substitute and motivation for giving when compared to the sacrifice Jesus made for us. Giving of ourselves and of what we've been given by God can be an act of worship and gratitude to Him. Being motivated by God's love for us should bring us to a place where we feel compelled to give and help others after all Christ has done for us. In the end, both sides of the argument agree, we're called to give. Tithing and free will giving are both meant to bring us into relationship with Jesus, and in the end point us (and others) towards Him. Tithing and giving are for our own good when we do it in a spirit of love and grace. Giving is a natural byproduct of a changed life, and helps us to overcome the power of greed and a love of money. Giving helps us to be less selfish people, and helps us to be an example to others. Giving of what we have been entrusted with is an act of worship, and expresses our gratitude to God for the sacrifices He has made for us. Our generosity can also show that we have truly repented and are following Christ. Having a reluctance to give may mean we need to examine our hearts and where our true allegiance lies. Our giving speaks to who we are – and who we serve. It is through our giving that we speak the loudest as to whom we serve – God or Money. This is the area of our finances where we are most likely to show God’s love to others and have the opportunity to be a witness for Jesus. Our giving is to be completely motivated by love – joyous and cheerful as we realize that our sacrifice is not loss but gain in Christ. We give freely, generously, and sacrificially not out of compulsion or commandment but out of our joy and contentment in Christ. Such giving is a sign of our total commitment to Christ and His teaching, and it’s a very powerful witness to the world. Whether you believe that the tithe is mandated for Christians, or whether we should cheerfully give what our heart has decided, I think we can all agree that giving is something that all Christians are called to do. We must first follow Christ as our savior. Once we have made a decision to follow him, as a natural extension of our repentance before Him we give of ourselves, our time and our money as a way to express our gratitude and our desire to share his saving grace with others. What are your thoughts on the subject of the tithe, free will giving and how generosity through Christ helps us to be better people? Each man (or woman) should give what he has decided in his heart to give, and God loves a cheerful giver! While I believe people should strongly consider supporting their home church – and finding one they believe they can support, I think giving above and beyond that is a great thing! i do believe in the saying that it is better to give than to receive but i do believe that it is better not to give anything if you are not sincere about it. So when we feel like giving to the church or to anyone, it has to come from the heart. 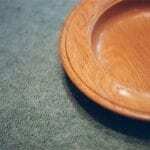 So, if tithing isn’t the basis for our Christian giving, what is it? You may be surprised to know that it is the same for us today as it was for the Old Testament Israelite – freewill offerings. The Jews had taxes to pay and we have taxes to pay. The Jews made freewill offerings and we make freewill offerings. Freewill offerings, contrary to taxes, have always been voluntary and in whatever amount the giver chooses. Freewill offerings are motivated out of grace and love. Taxes are motivated out of law and duty. I tithe. During the week, I think about budgeting and how to pay off debt and other stuff and sometimes I forget the important fact that this is all His and I’m just managing it. Making a commitment to tithe reminds me that I’ve been blessed by Him and Him only. I think tithing helps me not to hold onto money too much and have faith in the Lord that it will be used for His kingdom.